Amity Innovation Incubator is one of India's leading destinations for business incubation. It has been designed to accelerate the successful development of entrepreneurial ventures through an array of business support services. Amity’s presence across 17 Nationwide Centers makes them the strongest and most extensive Entrepreneurial Support system all across the nation. IndiaFilings is dedicated to helping businesses start. They provide a range of services from incorporation to tax return filing through their online platform. In addition to business services, they also offer a cloud-based GST software called LEDGERS to help businesses maintain their GST compliance. For RBL ISC clients : A Flat 10% discount on their services & 6 months LEDGERS GST Software for free. meetingsandoffices.com is your easy solution for all flexible as well as long term workspace needs. If you need a meeting room, a private office, a work desk, coworking spaces, conference rooms and training spaces from 1 hour onwards, just go to meetingsandoffices.com, Search, Compare, Book, Pay & Use. It's that easy. 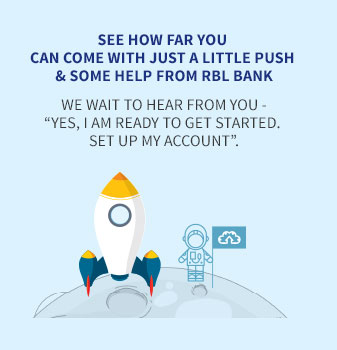 Meetings and Offices is the workspace partner for RBL Bank. Edgytal is a startup-focused full service digital marketing solutions provider. Our expertise lies in website development, social media marketing, search engine optimisation and paid media campaigns. We focus on adding value through our robust processes & customer value-driven approach and deep expertise of our and the client's domain. 10% on all services provided , exclusively for RBL ISC clients. FirstHive is a powerful B2C cross channel marketing platform that helps customers achieve greater sales and marketing ROI by providing a Single View of the Customer across multiple channels, and enables relevant and targeted communication and conversations. Free tax consultancy with experts. FinGurus is a reputed provider of Accounting and Finance, Virtual CFO, Company Secretary & Legal services. Their services are highly suitable in bringing professionalism and efficiency in Start-ups, SMEs and MNCs.